Product information "CHAOS MAGIC feat. CATERINA NIX - Furyborn - CD Jewelcase"
For the new Chaos Magic album, Chilean vocalistterin Caterina Nix worked in collaboration with fellow Chilean producer, singer, and musician Nasson. Together, they have created an absolute gem of an album, with outstanding metal tracks which will take the listener by storm. Caterina also put together an interesting cast of singers for some duets on the album: Tom Englund (Evergrey) on the title track, Ailyn (ex-Sirenia) on “Bravely Beautiful”, and Ronnie Romero (Rainbow and CoreLeoni singer, ex-Lords of Black) on "Path of the Brave". Producer Nasson also appears on “Falling Again”, while Mistheria (Bruce Dickinson, Rob Rock) appears on keyboards on “Beware of Silent Waters”. The album was mixed to perfection by none other than Danish studio master Jacob Hansen (Volbeat, Pretty Maids, The Dark Element etc.). 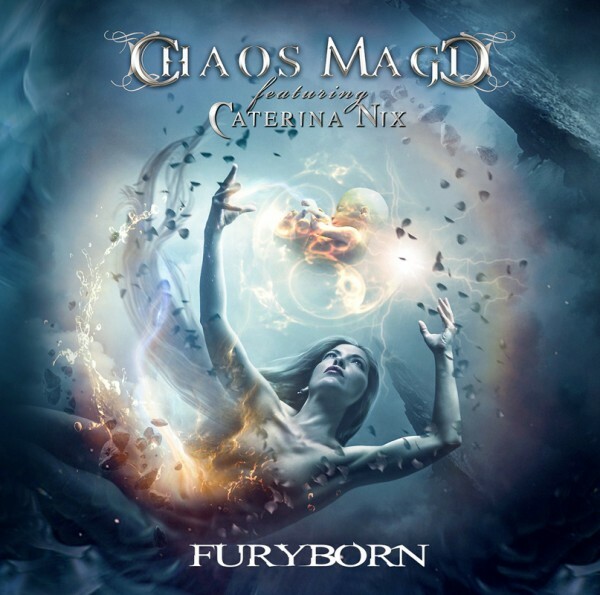 “Furyborn” is an outstanding and personal album, showing the amazing abilities of a new star in metal music, Caterina Nix! Caterina Nix is a superb young vocalist from Chile, who was found by chance by former Stratovarius composer and guitarist Timo Tolkki during one of his tours of South America. Timo was supremely confident about Caterina’s singing abilities from and eventually he managed to write and produce for her the first Chaos Magic album, in addition to having her perform on the second “Avalon” rock opera album. While these two things brough Caterina to the forefront more on the International stage, she had already started her career in the band Aghonya, who released their first and only album "Oxygen", in 2008, in which she wrote all lyrics and vocal lines. Released independently, the band and Caterina received rave reviews, which gave them the opportunity to open shows in Chile for bands like After Forever, Edguy, and Within Temptation. Nasson - Guitars, vocals, piano, programming, acoustic guitars & additional bass. Related links to "CHAOS MAGIC feat. CATERINA NIX - Furyborn - CD Jewelcase"
Customer evaluation for "CHAOS MAGIC feat. CATERINA NIX - Furyborn - CD Jewelcase"